Did you know that Gibraltar is home to the last free-range population of monkeys in Europe? Gibraltar is a British Overseas Territory located on the southern end of the Iberian Peninsula at the entrance of the Mediterranean. It has an area of 6.7 km2 and shares its northern border with the Province of Cádiz in Andalusia, Spain. The Rock of Gibraltar is the major landmark of the region. At its foot is a densely populated city area, home to over 30,000 Gibraltarians and other nationalities. An Anglo-Dutch force captured Gibraltar from Spain in 1704 during the War of the Spanish Succession on behalf of the Habsburg pretender to the Spanish throne. The territory was subsequently ceded to Britain "in perpetuity" under the Treaty of Utrecht in 1713. During World War Two it was an enormously important base for the Royal Navy as it controlled the entrance and exit to the Mediterranean Sea, which is only eight miles wide at this point. Today Gibraltar's economy is based largely on tourism, online gambling, financial services, and shipping. The sovereignty of Gibraltar is a major point of contention in Anglo-Spanish relations as Spain asserts a claim to the territory. Gibraltarians overwhelmingly rejected proposals for Spanish sovereignty in a 1967 referendum and again in 2002. Under the Gibraltar constitution of 2006, Gibraltar governs its own affairs, though some powers, such as defence and foreign relations, remain the responsibility of Her Majesty's Government. 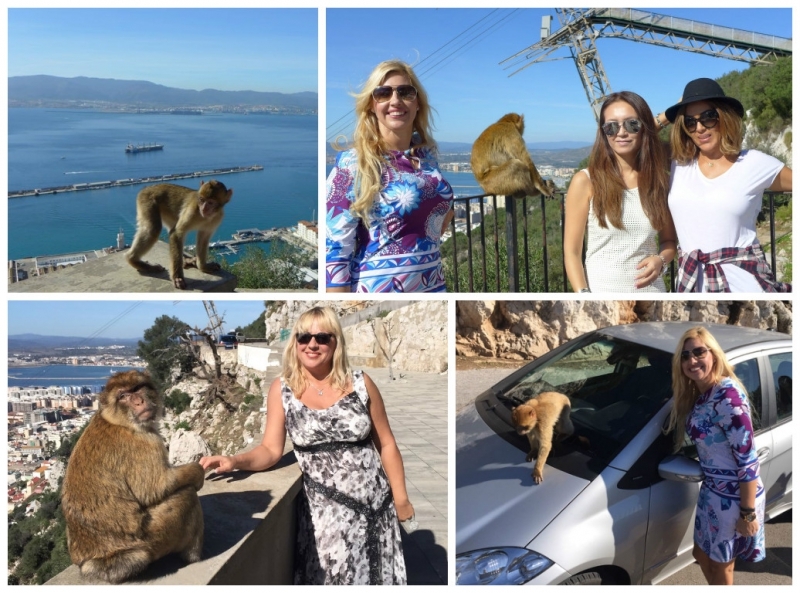 i-Marbella visited Gibraltar in October to still find it warm and tourist-friendly and see the famous free-range monkeys. There are about 160 monkeys living in Gibraltar in two main areas. About 20 of them at Apes' Den can be observed closely. Male and female youngsters can often be seen playing together. Gibraltar monkeys will jump at every opportunity to get some food -- it's sometimes enough to just wave a banana at them! Barbary Macaques are certainly an amazing experience for both children and adults.